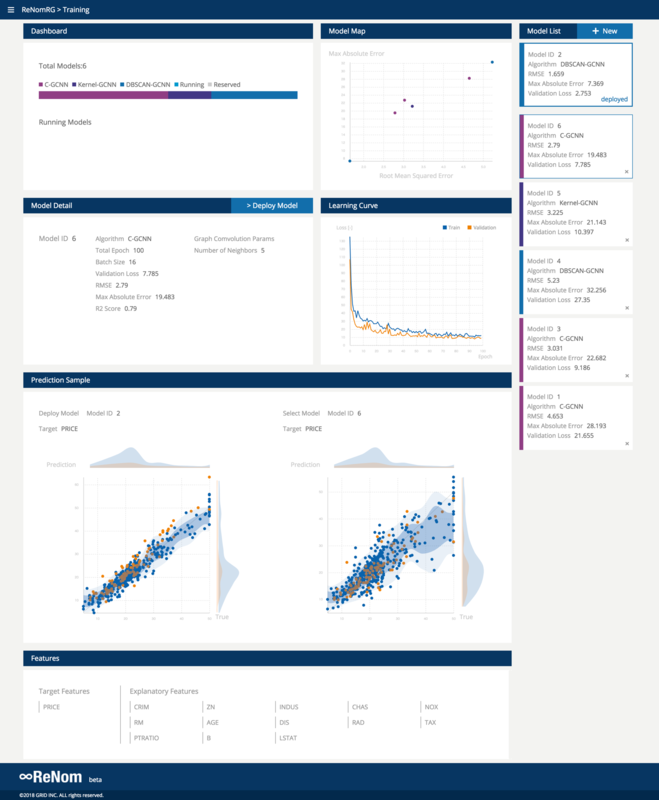 ReNomRG is an application for building regression models using the latest GraphCNN technology. 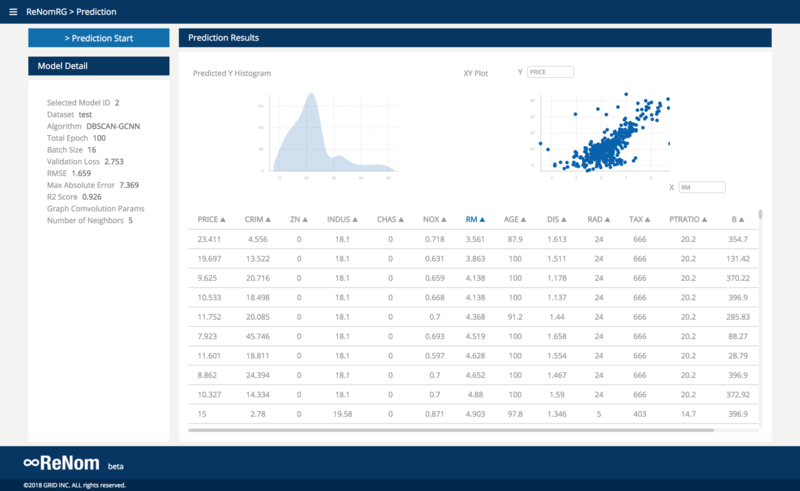 With the release of ReNomRG, developing a demand forecasting model or building a regression model that numerically predicts target variables using data from production equipments or ERP (enterprise system) can be developed with ease. With this application, we believe this will lead to more efficient operations. In addition, ReNomRG uses a GraphCNN method, published at the Society of Artificial Intelligence at 2018 , to feature-extract the numerical data using the advantage of deep learning CNN method, and as a result, in many cases, exceeds other machine learning method based on accuracy. “ReNomRG (ReNom regression)” is an application which allows users to build regression model with ease. ReNomRG simplifies the process required to build a model such as considering the model, adjustment of model parameters, and evaluation. Users can enter the phase of model creation by simply preparing a training dataset and set it to ReNomRG. Furthermore, after creating a model by giving various parameters, it is possible to compare each model with a common evaluation index. With this application, users can complete a series of tasks in the application, the number of hours spent on building a model reduces significantly. By preparing training data, users can create a regression model from GUI without programming. Using the technique called Graph convolution, CNN can be performed with non-image data.